VANCOUVER BC, FEBRUARY 4th 2019 – West coast recording artist Becca Hess’s long-awaited sophomore album “TRUTH” has arrived. Recorded at the legendary Armoury Studios under the production guidance of the McKillip ‘Dream Team’ (CCMA award-winners Tom & Carly McKillip) and cream-of-the-crop musicians Darren Savard, Pat Steward, John Ellis, John Dymond, Darryl Havers, Mike Sanyshyn, Kristian Alexandrov, Britt McKillip, Shannon Gaye and Gord Maxwell; “TRUTH” is result of a somewhat convoluted – but infinitely rewarding – musical journey. Raised on the road by songwriter, performer, Hall-Of-Fame recording artist and dad Kenny Hess, Becca’s influences are classic – and so is she – but her sound is all her own. With her feet firmly planted in country roots but an eclectic, fresh and organic approach, Becca owns her lane with “TRUTH”. This is no cookie-cutter country cutie – this is a young woman who can truly sing and has something to say. From her ink-black hair and tattooed sleeve to her unruffled poise and articulate, wry observations on life; Becca is a girl – and an artist – out of the ordinary. Nominated for both BCCMA ‘Female Vocalist of the Year’ and ‘Rising Star’ awards in 2017, she is ready to continue adding to an impressive list of achievements with the release of this highly anticipated CD. 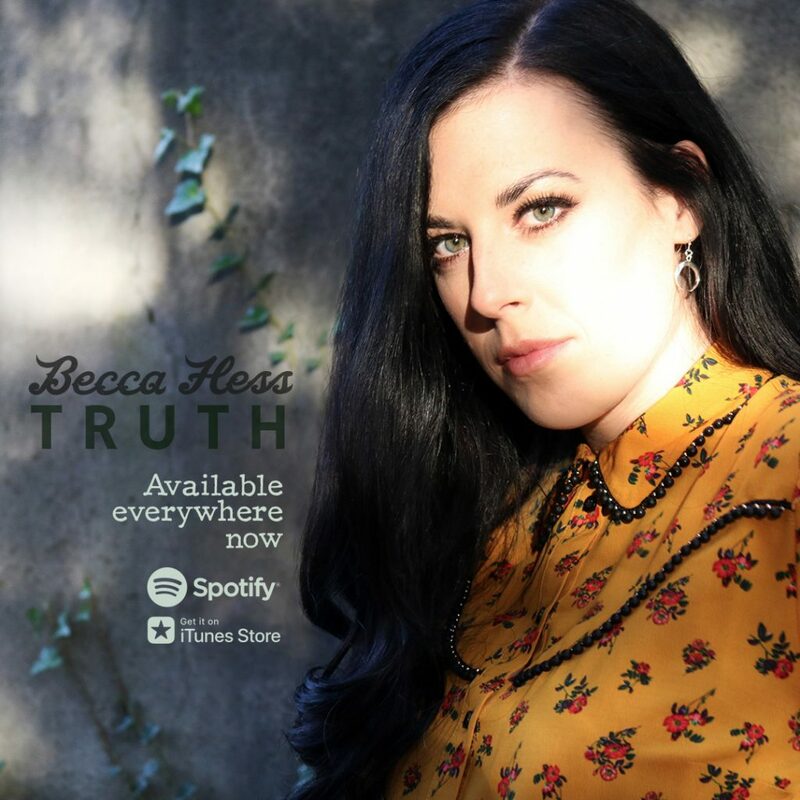 Becca’s “TRUTH” includes multi-nominated singles “Mountain Child” and “Stranded” along with eight brand new songs to round out a full-length studio album. “TRUTH” resonates with compelling musical performances. The project is a carefully curated collection of original songs – co-written by Becca with Byron Hill, Aaron Goodvin, Bryan White and other Nashville hitmakers – that showcase a real musical authenticity, potent vocals and the unvarnished perspective of a true artist. ©2019 Becca. All Rights Reserved. Site By: RPS Studios Inc.